Budget, affordable, cheapest – those are words in our minds when trying to buy something these days. With the current economic situation, it’s always wise to try and save some money with everything you do. And with computers being something I can’t see myself living (and probably neither do you), each of us must have them. But that doesn’t mean you can’t get them cheap. In this post I’m going to tell you a couple of things about cheap netbooks, what you should expect from them and what they usually lack when compared with the premium mini notebooks in their classes. I’m only going to speak about new cheap netbooks computers that you can get in stores. There are of course other options if on a tight budget, like buying refurbished netbooks or getting them used from different websites. I don’t really recommend that because warranty is important on electronics, as if something breaks, you will for sure end up paying more for repairs than you managed to save when buying them. Differences between cheap and mainstream/expensive laptops tend to grow with size, as base prices rise as well. With netbooks on the other hand, there aren’t so many things different from the cheap bellow 300 bucks versions and the mainstream above $350 ones. Ok, now that you know what to expect, let’s see what are right now the best cheap mini netbooks in a couple of different categories. Listings are based on my experience with all these devices, but also reviews from trustworthy online magazines and regular buyers like us. Toshiba Mini NB255 – this one is the cheaper version of the Toshiba NB305, one of the best netbooks on the market, combing the hardware inside that one with the looks of my old Toshiba NB205. You get the standard hardware and OS (N455 processor, 1 GB of memory and 160 GB HDD, Windows 7 Starter), standard display (10.1 inch glossy) and a sturdy matte casing (only available in black). There’s also a proper battery (capable of 8 hours of life on a single charge), so there’s not much to miss, but the great chiclet keyboard available on the bigger brother and Bluetooh. 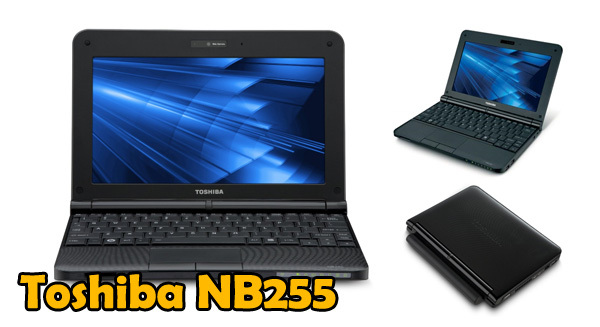 Still, for its price, this Toshiba NB255 is right now unbeatable if you want the best budget netbook. HP Mini 210 – when compared with the Toshiba above, this HP Mini 210 is pretty much the same in terms of specs. 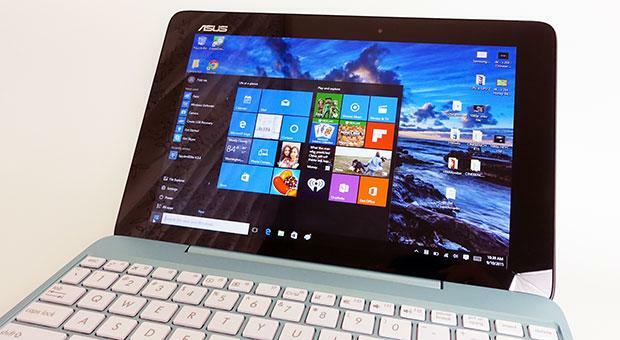 However, it looks better, as it is a higher class laptop with a huge discount these days. You get a bigger 10 hours battery, chiclet keyboard and a couple of different color schemes to choose from, all for around 300 bucks. Sounds good ay? Oh, and since this discount, my experience tells me HP is trying to get rid of stocks, so I doubt this offer will be available for too long. Thus better grab fast it if you find it interesting. Matte Samsung N150 – Samsung netbooks aren’t that popular in US, however they top bestselling lists in Europe. so they are very very good. This one has the advantage of being completely matte, that includes a non glare screen as well as a smooth matte casing. It is only available in Black for this price, with a nice red strap (see pic). Specs are pretty much similar to the ones of the other devices in this class and you do get a chiclet keyboard for this Samsung as well. So if you look for a light budget netbook great for outdoors (because of that display), this is it right now. Acer AO532h – $299 $279 /w Free Shipping – last but not least, there’s this Acer 10 incher. Available with a nice price and in a couple of different colors, this one is completely glossy. So will be your pick if you’re a fan of these sparkly finishes, I for one ain’t. Everything else is standard, from specs to features. You only get a flat keyboard (with a special design Acer uses), 8 hours battery and no Bluetooth. For more options, also see this post on the best 10 inch netbooks of the moment. In this class, computers tend to get more powerful, get better hardware, bigger and more ergonomic keyboards and become overall more than just travel companions. Still, with these changes prices increase, with the top devices jumping over the $500 border. The cheaper ones selected here come with prices around $400, can still provide better performances than regular netbooks, while offering decent weight and battery life. Acer Aspire Ao721– this is one of the thinnest (1 inch) 11.6 inch notebooks on the market right now. Packs a single core AMD processor with ATI graphics, 1 GB of memory and 250 GB hard-drive. That hardware is capable of running the OS snappy and face HD content (Flash or self stored), plus some older games. Battery life is only around 5 hours and while the device is reasonably well built, that plastic used for the casing ain’t that great looking. Still, for a budget mini notebook, this is one of your best picks. Reviews from experts and regulars users stand as proof as well. Asus EEE PC 1201PN – unlike the devices above, this EEE PC is slightly bigger, with a 12 inch display. It is also better built and better looking, available in a couple of different colors. Inside you get an Atom N450 processor usually found on smaller 10 inch devices, but there’s also the Nvidia ION2+Optimus for graphics (so it will run HD content, including 10180p, plus some games). 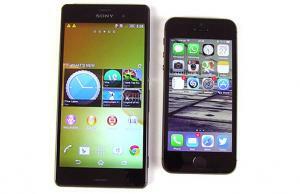 However, since there’s that single core processor on board, don’t expect too much from the little fellow. Still, it is affordable, comes with a very nice Full-Size chiclet Keyboard and Bluetooth (which other devices in this price range lack) and because it packs Optimus, battery life can get up to 7 hours of light use. For more options see the posts on best 11.6 inch netbooks and best 12 inch mini laptops also here on this site. As we’re still looking at mini laptops, we’re not going to mention mainstream laptops with 15+ inch displays, but only the smaller ones (13.3 and 14 inchers). These tend to pack good hardware for all kind of everyday activities. However, finding something cheap in here ain’t that easy, as these classes are designed to pack the power of the bigger laptops in a compact body, and that always comes with a price. Still, I’ve selected a couple of good mini laptops that should fit a tighter budget. Acer Aspire Timeline AS3810TZ – this is an ultra thin (1.1 inch) and light (3.5 pounds) 13.3 incher and is quite a nice machine to have. 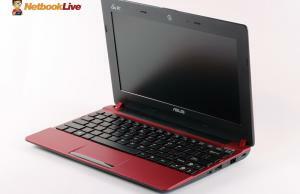 Packs a single core Intel SU4100 processor, 4 GB of memory, 320 GB hard-drive and Windows 7 Home Premium. There’s also a nice island keyboard and a 6 Cell battery capable of 8 hours of life. So pretty good, considering you can get it discounted these days. See the link for more details. Toshiba Satellite T235D – $599 /w Free Shipping – this is a new generation 13.3″ mini laptop from Toshiba, boosting the new design and the chicket keyboard/trackpad combo (perhaps the best in its class) . You get a dual-core AMD processor with ATI graphics, so it’s better than the Acer above in terms of performances, but battery life has to suffer (only around 6 hours on a charge). So quite a machine if you’re on a budget, as proven by the great reviews scored with buyers. 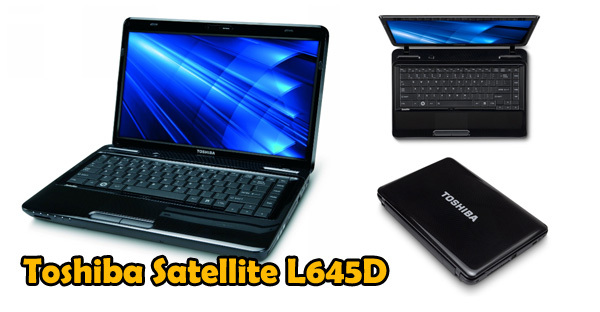 Toshiba Satellite L645D – This is the bigger Toshiba, the 14 incher. It packs a triple core AMD processor for even more power and a DVD-writer, but it is quite bulky and heavy when compared to all the other machines in this post, weighing nearly 5 pounds. So not that portable, but fast and with a great price. These qualities in fact make it one of the most popular laptops of all in the States right now and the best sold in its class (14 inch). You’ve probably seen regular 15.6 inch laptops a lot cheaper than these. Yeap, there are quite a bunch, but bear in mind that those are bulkier and a lot heavier. Plus, those available on sales these days pack older generation hardware and are in fact poorer than these ones on terms of performances. As you saw, there are a bunch of different options for cheap netbooks and budget notebooks on the market. It’s up to you to choose, all of the ones listed above are worthy in their class. You should know that they do get more powerful with size increase, while getting heavier, more expensive and less portable. Also, the best prices are available for 10 inch mini machines, but for me, as an owner of a 10 incher, 11.6 incher and 13.3 incher, the perfect balance is with that middle class. Also, consider that it’s not always the wisest decision to go for cheap computers. After all, you’re not buying them everyday and I for one would rather pay 10-20% more in order to get all the functions I would need than regret not having them later. Still, if you’re on a budget and have no other options, cheap mini laptops will do their job. Also check the netbook deals section on the site for periodical updates on top offers (and usually only available for a limited amount of time). That’s about it with this post on budget netbooks. If you have any questions or just something to say, don’t hesitate to leave a comment, I’ll try my best to give you a helping hand if possible. Do you have a releasedate for the Toshiba l645d in Europe? Or is this a special version for the US market? Can you please recommend a netbook for a 9-year old? Thanks. Are there any with ion, high resolution, and no Windows license?